Confused about obfuscated Usenet files and posts? You’re not alone. Get up to speed on this latest stealth Usenet technique. Obfuscated Usenet is a way to keep files available longer in newsgroups. Obfuscated Usenet (sometimes called stealth Usenet) is a growing trend that you should be aware of, whether you’re a Usenet veteran or totally new to downloading files from newsgroups. As more and more uploaders and indexers are now using obfuscated Usenet, knowing what it is and how to use it will help you find what you’re looking for more easily and could drastically improve your completion rates. Don’t know what an NZB is? How to Use Obfuscated Usenet? In the good ol’ days of Usenet, binary files were titled in a straightforward fashion, e.g., “Generic.Movie.Title”. Many, if not most, Usenet binary posts are still titled like this. Because, after all, this kind of file naming makes them easy to identify and search for. Unfortunately, this also makes it easy for copyright trolls to find them and file DMCA takedown notices to have the posts removed. This leads to missing or incomplete binaries, and who wants that? So, over time, uploaders have started to name files in posts in a way that makes them harder for copyright bots to find. For instance, early attempts would be something like flipping the filename, to “eltiT.eivoM.cireneG”. This was the birth of obfuscated Usenet. And as the bots caught on, the obfuscation grew more advanced. Today, titles are “scrambled”, using a random string of letters and numbers such as "XTgkWT29WaU=". But thanks to indexers and others (discussed more below), these titles can be de-obfuscated for end users like you. As we pointed out above, obfuscation helps posts and files live longer in newsgroups by avoiding DMCA takedowns. Of course, Usenet obfuscation techniques don’t make takedowns impossible. In some cases, an obfuscated file might still be removed within a few hours. But this delay is enough time to download the file, especially for those using automated download methods (discussed more below). In other cases, Usenet obfuscation will help the file stay up for days, weeks, or even years. Again, it doesn’t totally eliminate the threat of takedown, it just makes taking down the files harder and more time consuming. Now, you might be asking, “But doesn’t this make files harder for me to find?” Well, it depends. As long as you have the proper tools for searching and identifying (by de-obfuscating) these files, it’ll actually be just as easy to find what you’re looking for and get complete files. Some newsreader clients and some Usenet automation tools (all discussed below) are very good at de-obfuscating these scrambled posts, if they are set up correctly, so you won’t even have to worry about it. However, if you are still manually downloading from Usenet (by searching for post headers rather than using NZBs), these obfuscated posts will be tough for you to find and even tougher to de-obfuscate. If you are in this boat, take a little time and learn how to fully automate your Usenet downloading. There is a slight learning curve for Usenet automation, but once everything is in place, it’s smooth sailing. In a nutshell, an NZB is to Usenet newsgroups what a torrent is to file-sharing. When you open an NZB for a particular file in your Usenet software (called a newsreader), it tells the newsreader where to download all the pieces of that file. So, instead of the hassle of having to find and download all the pieces of a file yourself (which could be spread across many different posts and even newsgroups), you just use an NZB associated with that file. Easy! If you're wondering what these de-obfuscation tools are, don’t worry, we’re going to explain. 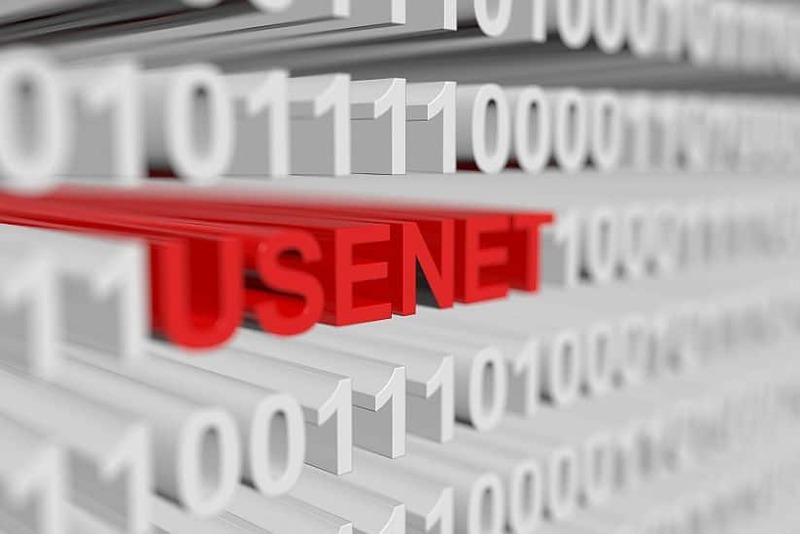 Here’s a step-by-step breakdown of how to take advantage of obfuscated Usenet. Experienced Usenet users will have one of these already, but we’ll still list them here for the sake of thoroughness. So, which provider should you use? Want to learn more? Here, you can find a full breakdown of the best Usenet providers. Or you can compare over 100 Usenet providers side-by-side in a single table to help you choose the right one. Another must-have that you might already have (if you’re a regular Usenet user) is an NZB downloader. Whereas a newsreader describes a software application that everyone needs to download from Usenet newsgroups, NZB downloaders are a specific kind of newsreader. An NZB downloader doesn’t bother downloading the headers of Usenet posts. (The headers of obfuscated posts will look like gibberish anyway). All an NZB downloader cares about is downloading all the data an NZB points to. In this way, an NZB downloader acts a lot like a torrent client, such as µtorrent or qBitTorrent. Both are free and have the most up-to-date functionality when it comes to the post-processing of obfuscated content. This will make your life a lot easier in the long run. A Usenet provider is always a necessity, but a good indexer is also very important for obfuscated Usenet, unless you want to deal with all the hassles of manually de-obfuscating files! Trust us, you don’t. In essence, an indexer scours Usenet newsgroups for files that you can search and download via NZB. The best indexers also pick up obfuscated files and let you search and download them by un-obfuscated filenames. In other words, these indexers will link the real content to its real name. So, even though something got uploaded to Usenet with a gibberish name, the indexer will de-obfuscate it and you will be able to find and download the file as easy as if it had never been obfuscated in the first place. An indexer takes a lot of time and effort to operate, so most of the best ones are private and charge a membership fee. Some may even require an invitation before you can join. But the fees are reasonable and well worth it. Limited free access is often available so you can try before you commit. Find the one that best fits your needs and sign up! You can quickly compare all NZB indexers at a glance here. The subreddit r/usenet is also a good source of Usenet indexer help and support. You can even use a free tool like NZBHydra to use multiple indexers and combine their results. NZBFinder Usenet indexer supports de-obfuscation. The above is all you need to take advantage of obfuscated Usenet content. You’ll be using the indexer to search for and find binaries. It’ll turn up both non-obfuscated and obfuscated files, for which you can then download the corresponding NZBs. Once you’ve got the NZBs for the files you want, your NZB downloader will take over and handle the rest. So, we’ve covered what obfuscated Usenet (aka stealth Usenet) is, why you should use it, and what you need to benefit from it. By following the advice above, you’ll be able to access the newest content and have a better chance of downloading it before it’s removed, which means fewer incomplete files. What’s not to like? Usenet is already faster and safer than torrents, and accessing obfuscated Usenet files will help close the gap when it comes to finding older or obscure content that Usenet sometimes struggles with.